When we hear people talk about “the hips”, we are generally referring to the entire pelvis, including the leg sockets, the hip bones themselves, and the upside down triangular bone in the middle below the lower back the sacrum. To simplify our text we will refer to the hips as the head of the upper leg bone (head of the femur), and the cup (acetabulum) where the head of the femur rotates (articulates). This is essentially a ball and socket joint and it takes the entire impact of the weight being carried on each leg distributing it into the acetabular cup. There is an arrangement of ligaments attaching the parts of the joint as described, a joint lubricating sac (the bursa), and heavy strong hip flexor and extensor muscles. Lower down the leg of course is the knee joint. The knee is a complex arrangement of cartilage with its own lubricating fluid (synovial fluid), several ligaments, and of course strong muscles and ligaments. Hips and knees these days are well understood and in the early stages of pain, respond well too conservative Chiropractic care. 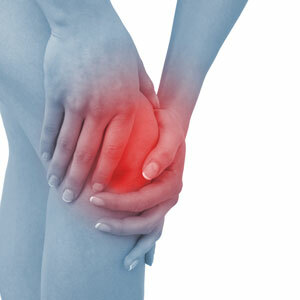 There are a myriad of reasons and causes of hip and knee pain ranging from common ligament and muscle strains and sprains, to major tears etc. The most common, and possibly most overlooked reason we as Chiropractors see every working day is imbalance of the sacro iliac joints. At Noosa Life Chiropractic we use a computerised soft ware package to diagnose ranges of movement in all areas of the spine. In the case of hip and knee pain we invariably find a distinct restriction of one sacroiliac joint to flex to one side. This is generally the side where symptoms manifest. Prior to our new sophisticated soft ware range of motion analyser we had a more simplified diagnostic device called a spinal analyser. This machine independently weighed both sides of the body E.G. a left foot and a seperate right foot scale. Typically we would identify an appreciable difference in weight bearing on one hip and knee joint E.G. left side scale recording 40 kilos and right 50 kilos. In all cases the sacroiliac joint on the lighter side the left in our example, would be recognised as the underlying misaligned sacroiliac joint. The reasoning was if the body was placing more weight on the right side it was attempting to escape, compensate for the problem on the left by moving it’s own centre of gravity more to the right, and hence more weight was being carried on that side. Now contemplate walking several kilometres in any given 24 hour period of time and contemplate how many times does each hip (leg bone joint) impact into the ball and socket joint. Let’s estimate 5,000 impacts a day, and if in our example the right femur head collided with it’s cup (acetabulum) carrying an extra 10 kilos of weight than the left, would it then make sense that the right hip joint would wear down quicker? Let’s do the math: 10 kilos x 5,000 impacts (steps) = 50,000 kilos each day more weight impact on the right side. Assuming this difference goes unchecked over 20 years how much more weight has the right hip had than the left? The math says over 18,000 kilos per year or over 20 years = 365 tones more weight has been carried on the unaffected side. The Australian orthopaedic association published in National Joint Replacement journal – 83/104 per 100,000 hip replacements are done every year in Australia. From their statistics we can assume last year about 240,000 hips were replaced last year. I am in no way being critical of any profession, however if we were more focused in cause rather than treating effects we could perhaps greatly reduce that number? The knee can be seen as an extension of the same causative problems in some cases and can be addressed by looking to the function, or lack of function of the sacroiliac joint and where the body was distributing it’s centre of gravity. In our clinic a great number of new patients are found to have an imbalance in their weight distribution and pelvic range of motion which when addressed reduces and even eliminates hip and knee pain. The sacroiliac joints are not well understood in main stream medicine, however Chiropractic researchers have for many years recognised their importance in lower extremity (hips, knees, and feet) function. Nerves from the lower back distribute to all the lower parts of the body and regulate all functions from Motor (movement), visceral (organs and glands), and sensory (feedback) functions. These nerves located in the lower back are quite vulnerable, as any back pain sufferer will attest. Chiropractic looks at the whole of the lower back, sacroiliac, hips, knees, ankles and feet as a kinetic chain, and our treatment is inclusive naturally.